Today we’d like to introduce you to Michaela Veltri. I went to college to become a Dental Assistant, back when I still lived in Germany and absolutely loved it. However, the morning after my 30th Birthday, I woke up and felt a bit blue, thinking 30 is old and I really had never seen an old Dental Assistant before. I laid in my bed, wondering what else I might be good at. I needed a backup plan. I love people, skin, make-up and my hands served me very well in the dental field. I knew aging is part of life but looking your age is not. It didn’t take long for me to figure out going back to school to earn my esthetics license was the right course of action for me to take. So I did, that was 18 years ago. My passion for skincare never left and I can honestly say, I love it so much, it’s not even going to work for me. It’s just another day getting together with the girls. 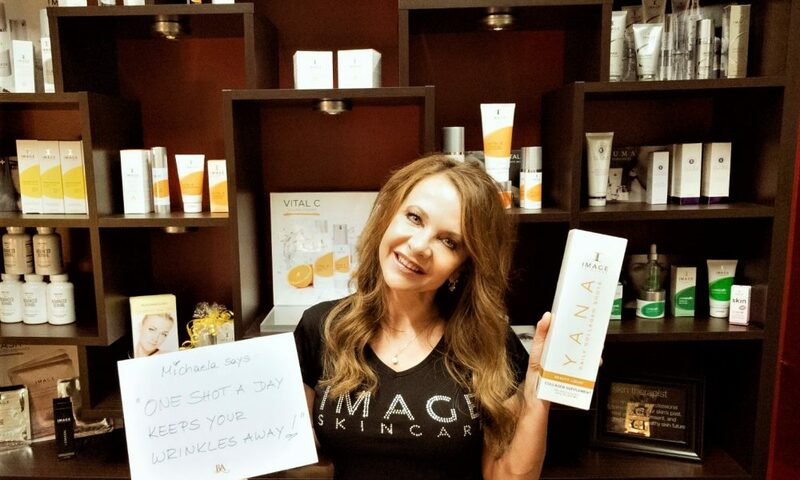 I always continued educating myself about skincare and treatments because this industry changes all the time and fast. Today, I am married to an amazing man and have an incredible 13 year old son, who are my biggest supporters. It’s important to have a strong support system when you finally decide to go out on your own. Both and a few close friends know how to help and encourage me when little moments of self-doubt sneak in. I owe a lot of my journey to them because they love me unconditionally, believe in me and are always there for me. I felt the need to help people get more educated about skincare. There is so much out there from products to home care gadgets that are really confusing to the consumer. My years working in the Cosmetic Surgery field is definitely something I felt would be of value to all my clients. 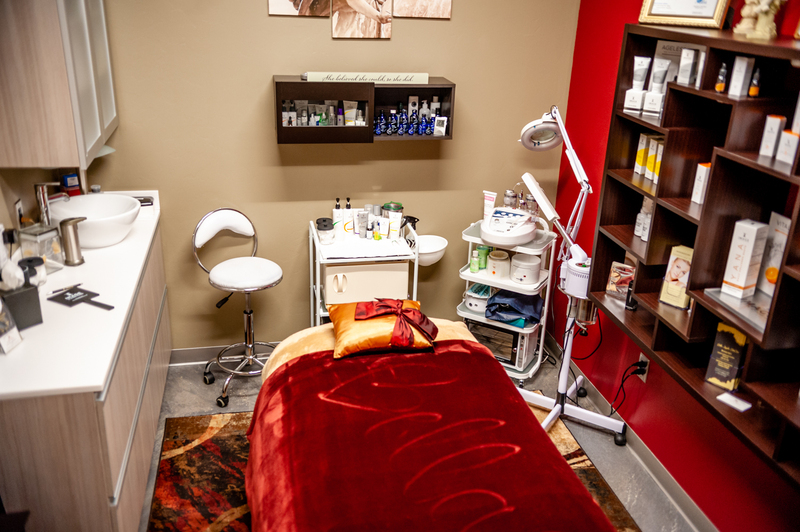 I understand what treatments they have undergone previously and know the procedures inside out from start to finish. What’s most important, because of this knowledge, I can have honest communications with my clients on what works and what does not. I might lose a sale but I’d rather lose that sale than to sell somebody a miracle crème in a jar that doesn’t deliver because there is no such thing as a miracle crème in a jar. I also wanted to have something of my own, something I could control and work around my families schedule. I don’t have very many years left before our son goes off to college. I felt like I missed out on a lot of family time working for someone else. I wanted my family to be on the fore front and not on the back burner anymore. So let’s switch gears a bit and go into the Bella Angelic SkinCare story. Tell us more about the business. 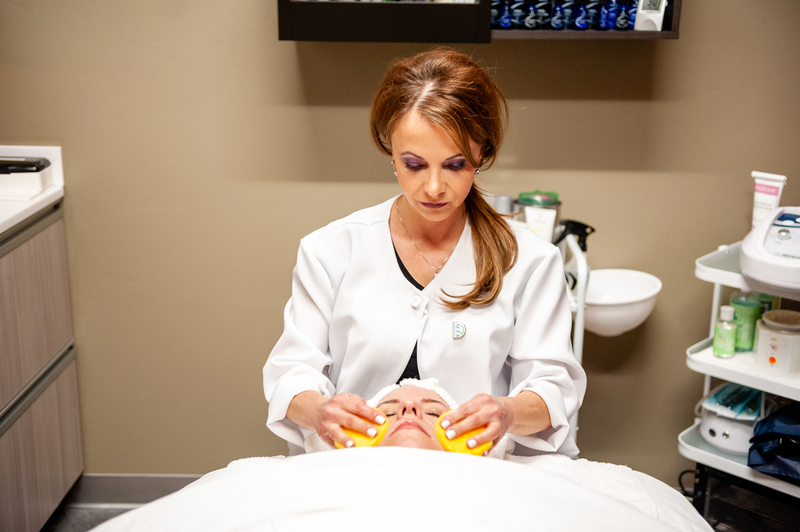 I specialize in Microneedling, Professional Chemical Peels, Dermaplaning, Customized Facials, Hydrodermabrasion, Oxygen Infusion Treatments, Facial Waxing and Eyelash Lifts and Tints. Bella Angelic SkinCare is pretty much what the name describes itself, anything that will help clients to get that Beautiful Angelic Skin, everyone is after. I am known for pretty much all that I do but maybe more the fufu less clinical part that people tend to enjoy a little more. The papering, massaging and the ambiance that goes with it. I’ve been told I have magic hands. What I am most proud of is that I was able to create an environment where clients can feel at home, safe and comfortable. My clients are not just my clients, they have become friends because I take the time to get to know them. 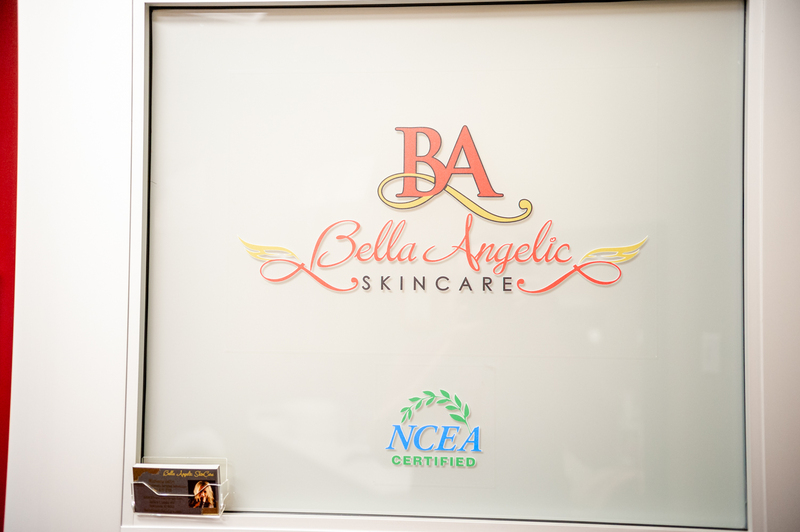 Bella Angelic SkinCare doesn’t believe in just providing a service, Bella Angelic SkinCare believes in treating a client as a whole. There is no in and out. 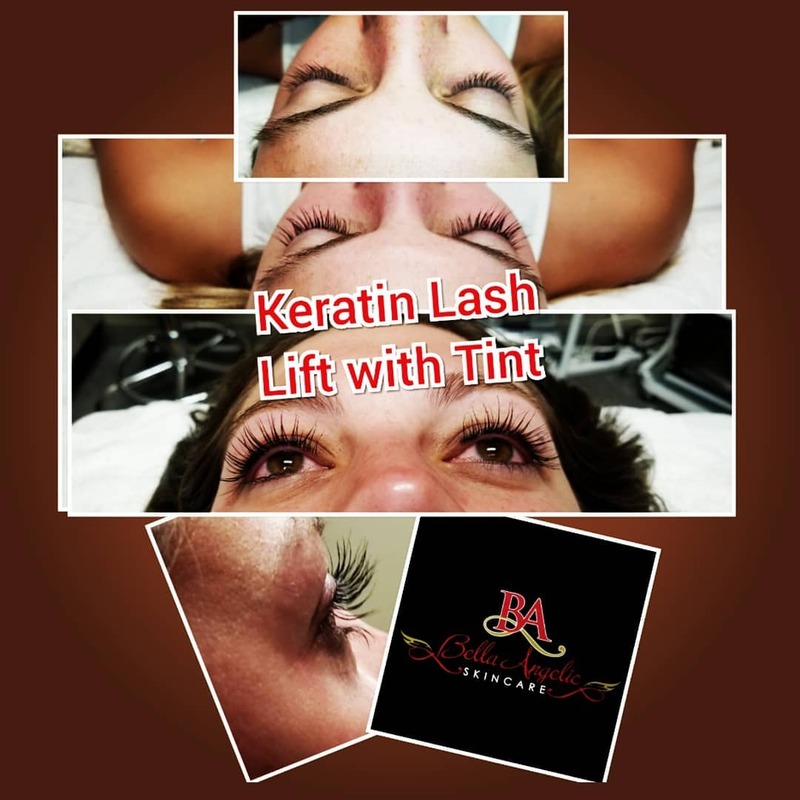 Every client is unique and special, so is their skin and that’s the way I treat them. Some clients snooze, talk, cry, laugh, snore and I love it all. When people pore their hearts out to me they know, what happens at Bella Angelic SkinCare, stays at Bella Angelic SkinCare. What sets me apart? 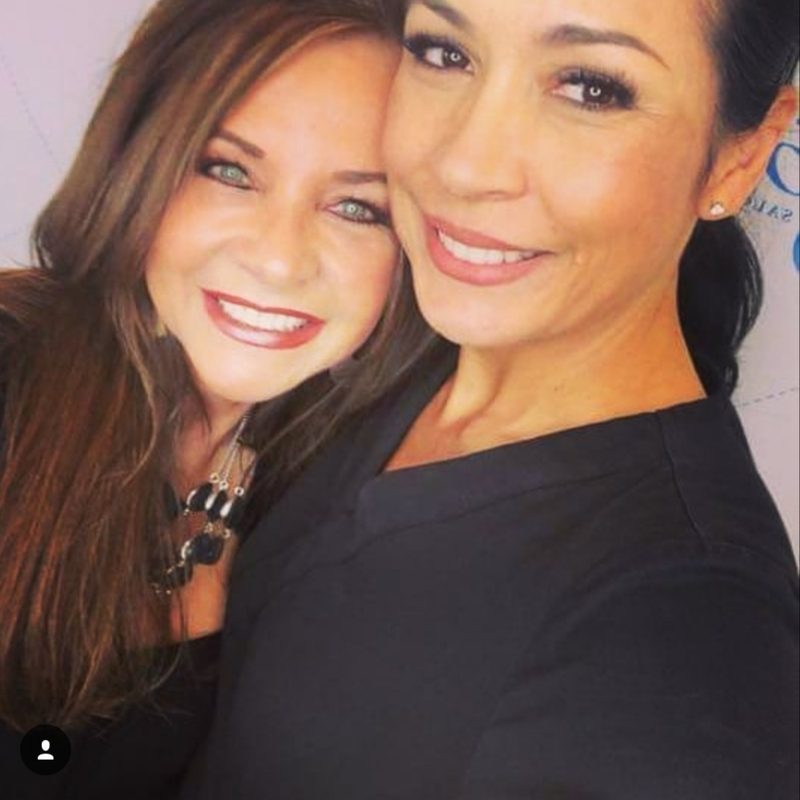 Well, for one I am NCEA Nationally Certified which is equivalent to a Master Esthetician and NCEA Certified represents the highest skin care credential available in the United States. Currently, the entire State Of Arizona has only two Nationally Certified Estheticians and I am one of them. It raises the bar in my profession and my clients deserve nothing less. 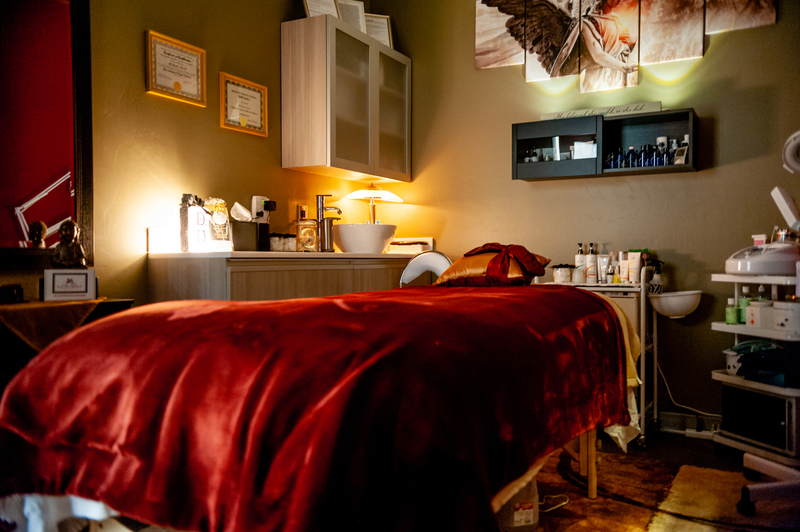 Treating a client is not a given, it’s a privilege! So, I do everything I can to give them what they deserve. The day I stop learning will be the day I stop practicing. My age and experience might be another one. I just turned, oh I forgot… but I am approaching almost 50. So, I know what young skin goes through because I have been there and well, yes, I know what the more seasoned skin needs because I am going through it. Lastly, I am just me and that’s what set all of our other talented Estheticians apart from one another. There is only one Michaela and what you see is exactly what you get. The road is never smooth but all the obstacles and challenges one faces along the way is what you make them to be. We all have 100% control off how we look at an obstacle or a challenge. Is it positive or negative? I choose to make it positive. Yes, I get irritated sometimes and it’s not always easy but no matter what comes my way, I have control of the way I look at it. Negativity is a waste of time in my book and non-productive. I welcome challenges because I have a survivor personality, it makes me grow as a person and made me who I am today. I think one of my challenges might be, that I am too nice at times and never look at anybody as my competition. I am always friendly, always ready to help, I love mentoring, if it’s wanted, teaching because I am a well of knowledge and I always see the good in people. I formed some great relationships and friendships that way but also suffered a tremendous amount of disappointment at times. Yet, I can’t change who I am, I don’t want to change who I am, so I just have to deal with the flipside when it presents itself and listen more to the people who see things coming long before I do. I am also an “I want it now” kind of person. If I want something, I want it and I don’t want to wait. Had I waited just a little longer, I could have saved a lot of money building my business. I had to do quite a few ’do overs’ because I just couldn’t wait or changed my mind on some things. Some of the things I had to do under the radar because my husband is the total opposite of me when it comes to money. He is used to running big companies and tells me when I don’t do smart business decisions. I personally don’t believe in luck. You make your own luck. I am a firm believer in “Energy flows where attention goes!” I always had a vision and never lost track of that vision. Mine took almost 18 years to materialize but when the timing is right and it is meant to be, it will all come together effortless and you know it’s right. 18 years ago when I first received my license I work at a salon. I was single, working two jobs and had such a passion for skincare and people, wanting so badly to make a difference in people’s lives and how they felt about their skin and as a whole. 911 hit and so did my business. It was just not the right time for me back then. I worked at another salon after that but it was not the right time for me either. I knew deep within my heart that I was meant to do skincare. I could feel it in my heart and I knew I was really great at it, too. So I really didn’t understand why my best efforts were not paying off the way I had hoped. Looking back now it all makes perfect sense. Every journey I took since then, prepared me for today and for that I am truly grateful. I learned so much along the way about women, skincare, how to stretch my waist band and talk in front of a crowd, self- growth and last but not least all my experience I gained working in the Cosmetic Surgery Field. I can take all that knowledge and growth I gained and pour it into my business now. You see, sometimes things don’t happen because we have bad luck or good luck. It happens when the moment is right. Your teachers will show up when you are ready. It’s believing in your vision and never giving up. Everything in my past were just stepping stones, preparing me and getting me ready for the business I have today. Address: 15454 N Frank Lloyd Wright Blvd.